The room was full of around 80 participants from the Government of Japan (the Ministry of Foreign Affairs, the Ministry of Finance, the Ministry of Health, Labour and Welfare, the Ministry of Agriculture, Forestry and Fisheries, and the Cabinet Office), parliamentarians, civil society organisations, representatives from the UN and World Bank, and representatives from the private sector. This point is encouragingly reiterated time and time again. 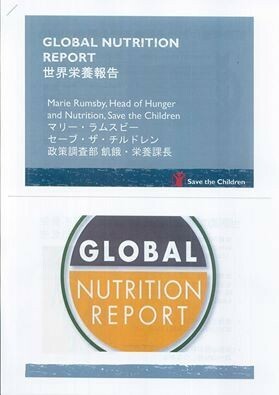 It is also clear that many in the room recognise the need to maintain the international momentum around nutrition, citing opportunities such as Japan’s presidency of the G7 in 2016 and the commitment to use the Tokyo 2020 Olympics to improve nutrition. LBI is also promoting Nutrition improvement program for children in Korogocho based on the suggestions from this report.